The initial technology will compete directly with AirFuel, with "real" wireless charging a couple years down the road. Beaming power wirelessly through the air to charge mobile devices sounds like black magic. But startup Energous said on Wednesday that it has received FCC certification for its WattUp technology, even if the promise of true wireless charging will have to wait a couple of years. Here's the deal: The device that the FCC approved is a “contact-based” charging solution, much like the existing AirFuel technology (previously known as Rezence) that's used in the Samsung Galaxy S6. Energous says, however, that it’s working on three wireless charging solutions, all based on the same technology, which will be delivered over the next few years. Consumer devices that use the “contact-based” technology will be able to take advantage of what the company calls its “full-size” WattUp technology as early as the end of 2017, receiving power from a transmitter up to about 15 feet away. Why this matters: Energous, a startup called Ossia, and Wi-Charge all promise that power can be delivered to devices like smartphones and tablets completely independently as the user roams around a room. (Energous and Ossia propose using radio waves; Wi-Charge’s solution uses infrared light converted to electricity using photovoltaic cells.) The idea is that you’ll never really need to plug your portable devices in; they’ll simply receive a constant trickle of power that will keep them up and running. 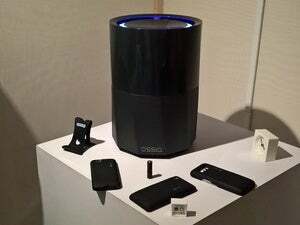 Both Energous and Ossia treat wireless power like Wi-Fi, beaming the radio waves directionally and then “harvesting” them using receiver antennas that must be mounted inside client devices or at least in charging cases. 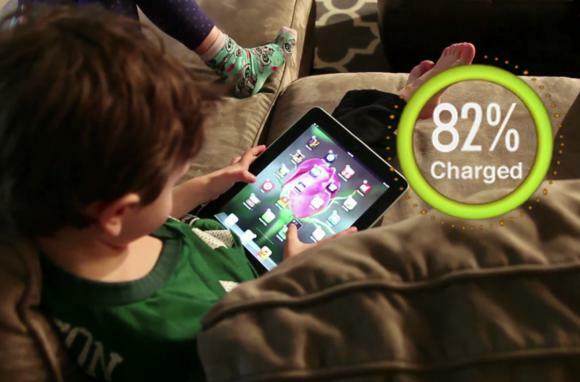 Theoretically, at least, Energous should be able to charge 12 devices at once, the company said. It’s not clear how much power that it will be able to deliver at any one time. Energous also said it is in production of its transmitter and power amplification chips, and is qualifying its receiver chips. Though Energous is a public company, it is very much a startup; for the first quarter of 2016, it pulled in only $136,000 in revenue, while spending $10.9 million, largely in research and development. That’s meant that Energous prioritized its Mini WattUp transmitter to make some money, Rizzone said.